Aug 20, 2017; San Francisco, CA, USA; San Francisco Giants baseball Hall of Fame player Willie McCovey smiles before the game against the Philadelphia Phillies at AT&amp;T Park. San Francisco Giants Hall of Famer Willie McCovey passed away on Wednesday at the age of 80. The San Francisco Giants announced McCovey's death, saying the fearsome hitter passed "peacefully" in the afternoon "after losing his battle with ongoing health issues", according to a report by the Associated Press. Willie McCovey was born on Jan. 10, 1938 in Mobile, Alabama. In his Major League debut in 1959, Willie McCovey went 4-for-4 with two triples off future Hall of Fame pitcher Robin Roberts. He won Rookie of the Year honors that same year, batting an impressive .354, hitting 13 home runs, and driving in 38 runs in just 52 games for the San Francisco Giants. He dropped out of high school a year early in 1954 to work and help with family finances. McCovey was inducted into the Baseball Hall of Fame in 1986. It was the first year he was eligible for induction. He has had four back surgeries and has had each knee replaced after a number of surgeries. 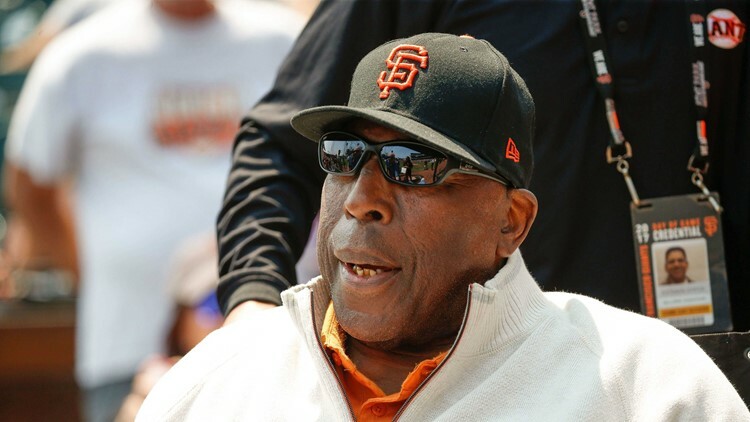 McCovey has held various positions with the Giants, including spring training instructor, special assistant to the general manager and senior advisor. McCovey earned the NL Comeback Player of the Year award after returning to the Giants in 1977, batting .280 with 28 home runs in 141 games.